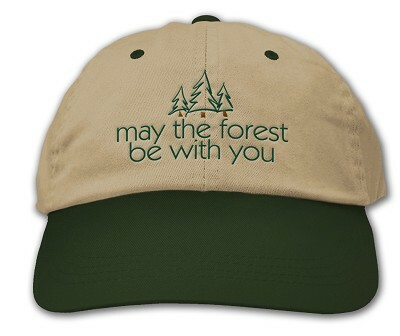 100% cotton cap features the motto 'May the forest be with you' on a two-tone design. Crown of hat is khaki and bill and vents are forest green. Cap features an embroidered design and an adjustable cloth strap with an antique brass buckle closure.